I consent to the use or disclosure of my protected health information by Endocrine Associates of Dallas, PA. (EAD) or Research Institute of Dallas, P.A. (RID) for the purpose of diagnosing or providing treatment to me, obtaining payment for my health care bills or to conduct health care operations of EAD/ RID. I understand that diagnosis or treatment of me by EAD/RID may be conditioned upon my consent as evidenced by my signature on this document. I understand that I have the right to request a restriction as to how my protected health information is used or disclosed to carry out treatment, payment or healthcare operations of the practice. EAD/RID is not required to agree to the restrictions that I may request. However, if EAD/RID agrees to a restriction that I request, the restriction is binding on EAD/RID and the practice’s representatives. I have the right to revoke this consent, in writing, at any time, except to the extent that EAD/RID has taken action in reliance on this consent. I understand that “protected health information” is defined as health information, including my demographic information, collected from me and created or received by my physician, another health care provider, a health plan, my employer or a health care clearinghouse. This protected health information relates to my past, present or future physical or mental health or condition, and identifies me, or there is a reasonable basis to believe the information may identify me. I understand that I have a right to review EAD’s or RID’s Notice of Privacy Practices prior to signing this document. The Notice of Privacy Practices describes the types of uses and disclosures of my protected health information that will occur in my treatment, payment of my bills or in the performance of health care operations of EAD/RID. The Notice of Privacy Practices is also provided in the waiting areas of EAD/RID. This Notice of Privacy Practices also describes my rights and the duties of EAD/RID with respect to my protected health information. I understand that EAD and RID reserve the right to change the privacy practices that are described in the Notice of Privacy Practices and that I may obtain a revised Notice of Privacy Practices by calling the office and requesting that a copy be sent in the mail or asking for one at the time of my next appointment. ENDOCRINE ASSOCIATES OF DALLAS, P.A. This Notice of Privacy Practices (the “Notice”) tells you about the ways we may use and disclose your protected health information (“medical information”) and your rights and our obligations regarding the use and disclosure of your medical information. This Notice applies to Endocrine Associates of Dallas, P.A., including its providers and employees (the “Practice”). H. Appointment Reminders and Health Related Benefits and Services. 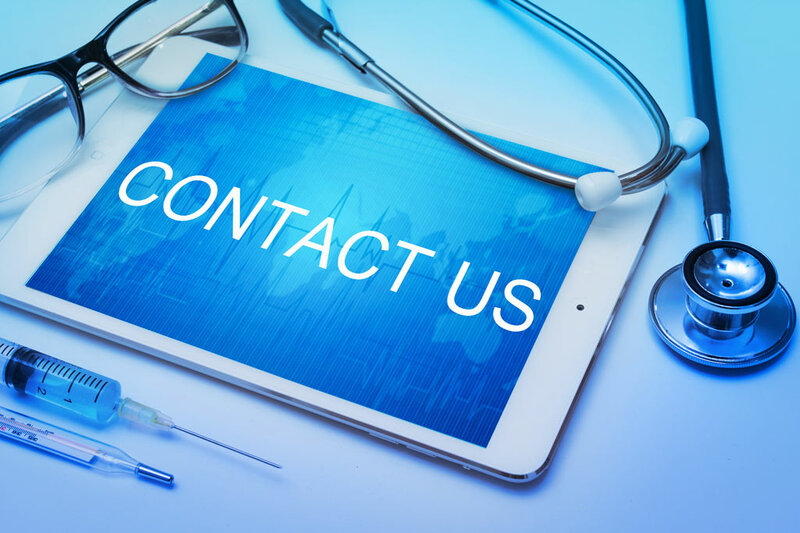 We may use and disclose medical information, in order to contact you (including, for example, contacting you by phone and leaving a message on an answering machine) to provide appointment reminders and other information. We may use and disclose medical information to tell you about health-related benefits or services that we believe may be of interest to you. We may, with your authorization, use email to communicate laboratory results and related health information to you. In order to receive such communications, a consent form for electronic communication, available in our office, must be signed by adult patients, or their respective authorized representatives, or by a parent or guardian of a minor patient. Your request must state a time period, which may not be longer than six years (or longer than three years for Treatment, Payment, and Health Care Operations disclosures made through an EHR, if applicable) and may not include dates before April 14, 2003. Your request should indicate in what form you want the list (for example, on paper or electronically). The first list you request within a twelve- month period will be free. For additional lists, we may charge you a reasonable fee for the costs of providing the list. We will notify you of the cost involved and you may choose to withdraw or modify your request at that time before any costs are incurred. NOTICE: This sample Notice of Privacy Practices was prepared by the Texas- based law firm of Jackson Walker, L.L.P. Any questions regarding this material are subject to the following paragraphs and should be directed to your own legal counsel or to Jeffery Drummond at (214) 953-5781. The Texas Medical Association (TMA) has no responsibility for the content of this material and makes no representation regarding the accuracy, currency, or completeness of this information. Jackson Walker, L.L.P. and TMA provide this information as a commentary on legal issues with the understanding that it is not intended to provide advice on any specific legal matter. Due to the specific circumstances of a particular medical practice, some providers may be subject to other requirements not covered by the provisions of this document (for example, certain covered entities dealing with substance abuse treatment services will also be subject to the requirements of 42 CFR Part 2 disclosure restrictions), and should consult their own attorney. This information should NOT be considered legal advice and receipt of it does not create an attorney- client relationship. This is not a substitute for the advice of an attorney. Jackson Walker, L.L.P. and TMA provide this information with the express understanding that 1) it does not create an attorney-client relationship with you, 2) neither TMA, Jackson Walker, L.L.P. nor its attorneys are engaged in providing legal advice to you, and 3) that the information is of a general character. Although Jackson Walker, L.L.P. and TMA have attempted to present materials that are accurate and useful, some materials may be outdated, and Jackson Walker, L.L.P. and TMA shall not be liable to anyone for any inaccuracy, error or omission, regardless of cause, or for any damages resulting therefrom. Any legal forms are only provided for the use of physicians in consultation with their attorneys. You should not rely on this information when dealing with personal legal matters; rather, legal advice from retained legal counsel should be sought.